The Freedom From Religion Foundation is raising the alarm on the Religious Right’s multiple attempts to immediately capitalize on the confirmation of Brett Kavanaugh to the U.S. Supreme Court. This argument would have been laughable before, but Hotze is hoping that the new Supreme Court with Kavanaugh, who’s on the extreme right of judicial philosophy and activism, will rewrite the law. FFRF, a national state-church watchdog, expects to see many more cases like this in the near future, as religious fundamentalists see how much law the new conservative court is willing to rewrite for them. 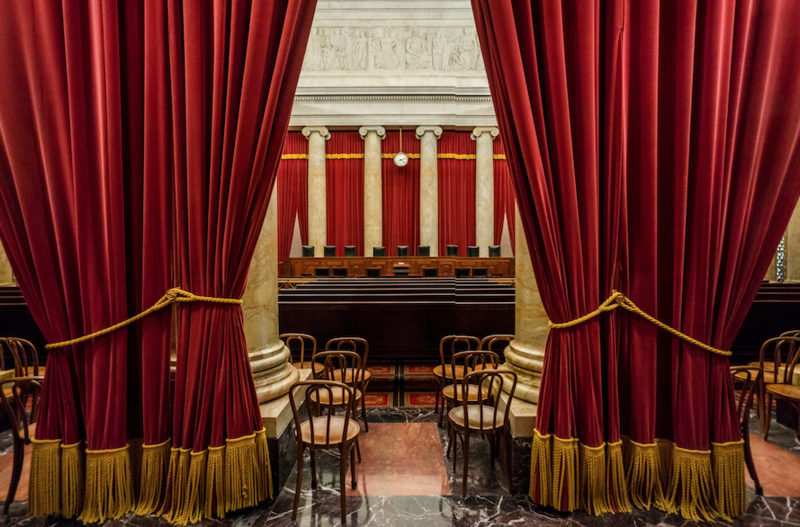 In search of pro-religion judicial activism, some other instances that are clearly unconstitutional are already knocking on the door of the new Kavanaugh Court. These include overt religious displays on government property, with two cases that have requested Supreme Court review after federal courts ruled that enormous Christian crosses on government property violate the Establishment Clause. In another case, after losing in front of several federal courts, a public school coach has asked the Supreme Court to rule that he has a right to use his position to make a show of praying in front of students. FFRF won a unanimous victory before the New Jersey Supreme Court, which ruled that taxpayers may not be forced to fund the building and repair of churches, and the U.S. Supreme Court has also been asked to rule that denying churches this taxpayer funding violates their free exercise of religion. Finally, the court pre-Kavanaugh punted on a case involving a baker’s religion-based discrimination, but similar cases are working their way up the courts already. With the new Hotze lawsuit, the ACA’s contraception mandate can be added to that list. The lawsuit was filed in the Northern District of Texas, which is no accident. This district is well known for bulldozing LGBTQ rights and is seen by the Religious Right as a friendly fast track, through the conservative 5th U.S. Circuit Court of Appeals, to the Supreme Court. The Freedom From Religion Foundation is committed to opposing this effort at every turn.